Police have "solved" a decades-old missing person case — but the woman who vanished so long ago now has dementia and can't explain her own disappearance. New York authorities never thought they would solve the 42-year-old missing person case of Flora Stevens, but then a state police investigator contacted the Sullivan County Sheriff's Office last month about some skeletal remains that might fit the vanished woman’s profile. Those skeletal remains pushed Sheriff’s Detective Rich Morgan to look into whether Stevens — who was 36 when she disappeared — had any living relatives. By hunting through federal, state and local databases, he discovered someone was using Stevens' social security number in Massachusetts. 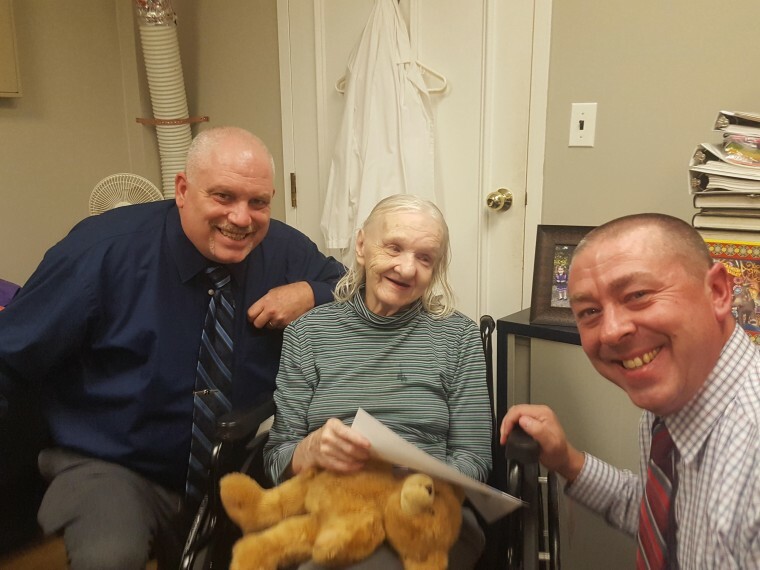 After a short drive up to Lowell, Massachusetts, Morgan and partner Detective Ed Clouse met Flora Harris, 78, in a local nursing home. Harris recognized an old employee photograph of Stevens from the Concord Hotel, and the two police officers soon realized Stevens and Harris were the same woman — but much had changed. "She doesn’t speak in more than one or two words at a time," Sullivan County Undersheriff Eric Chaboty explained, noting that Stevens suffers from dementia. "But she looked at the ID and said, 'Me!'" The struggle to communicate indicates a late middle stage or end stage form of dementia, according to the Alzheimer's Association. But Chaboty said when investigators showed her old pictures of the Concord Hotel, Stevens lit up immediately. "One of the things we talk about for late stage care is to find alternative ways to connect with them," said Beth Kallmyer, vice president of constituent services at the Alzheimer's Association. "They’re still alive, they’re still living here, so that helps make their quality of life better when you can find ways to connect with them. One way to do that is to look through old photos or to tell them about old memories or past events." Stevens had spent time at nursing homes in New Hampshire and New York City, but the mental health records are relatively vague and no one is quite sure what caused her to leave the small New York town of Monticello 42 years ago, officials said. She has no living relatives who could fill police in, either, they said. “The main thing is that we know that Flora is safe," said Sullivan County Sheriff Mike Schiff.